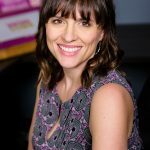 Dana Malstaff is also a mother, author, business & content strategist, coach, and podcaster whose energy is infectious. She lives with her family in San Diego and loves what she does. 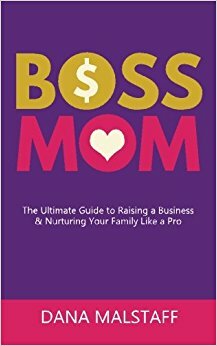 As the author of Boss Mom: The Ultimate Guide to Raising a Business & Nurturing Your Family Like a Pro, Dana lives by the advice she gives to other young moms looking to build their own business without guilt. As the founder of Boss Mom, she serves a community who yearns for more time and less guilt when it comes to building their business and raising their family by providing the tools they need to get more out of their content and business — without sacrificing their family goals. She believes in “momentary mentors” as well as life long coaches, and sees the Boss Mom brand becoming a movement in the next couple of years. “People are yearning to get help solving their problems,” she says. “Boss Mom is one of many ways to get answers.” Her favorite communication book is The 5 Love Languages because “when people feel valued and loved, they will do anything for you.” There’s no question in my mind — Dana Malstaff is one to watch! Dana Malstaff hosted her first live event last January for the Boss Mom brand. When game time arrived, she leaned into her gifts and blew it out of the water when it was go time. The event went so well, a third of the next event was sold out instantly. Moving forward, she sees live events playing a much bigger role in her business than she previously thought. Get to know Dana Malstaff football style on her Boss Mom website here.